Situated in Pittsfield Township, with an Ann Arbor mailing address and Saline schools, Lohr Lake Village currently has 0 homes listed for sale. In 2016, 5 homes sold. $550,000. 1682 Water Side Ct., Ann Arbor. 3358 sq. 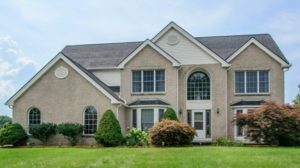 ft., +1630 in finished lower level, 3 bedrooms and 3.1 baths. $492,000. 5690 Lohr Lake Dr., Ann Arbor. 2612 sq. ft., +1200 in finished lower level, 3 bedrooms and 3.1 baths. $470,000. 5736 Lakeshore Dr., Ann Arbor. 2790 square feet with 4 bedrooms and 2.1 baths. $468,400. 5913 Lohr Lake Dr., Ann Arbor. 2854 sq. 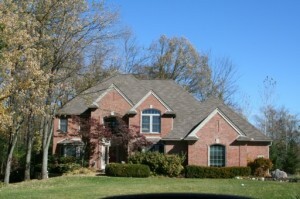 ft., +1686 in finished lower level, 4 bedrooms and 3.1 baths. $460,000. 5713 Lohr Lake Dr., Ann Arbor. 3392 square feet with 4 bedrooms and 2.1 baths. In 2015 at Lohr Lake Village, just 1 home sold with a sale price of $363,500 and an average price per square foot of $120.00. The 5 homes sold last year had an average sale price of $485,067, up 33%, and an average price per square foot of $165.00, up 37%. Since only 1 home sold vs. 5, these numbers aren’t a true depiction of the statistics for this neighborhood. To view stats for the past few years, along with photos, amenities, current listings, and more visit the subdivision web page here! If you have any questions, or would like more information for Lohr Lake Village, give us a call at The Bouma Group, Realtors at 734-761-3060 or email info@bouma.com today! Lohr Lake Village Subdivision, Ann Arbor is a lovely neighborhood in a picturesque setting. Children attend the award winning Saline Schools and homeowners pay Pittsfield Township taxes. There are currently 3 homes listed for sale with 1 under contract, 1 listed for rent, and so far this year 3 homes have sold and 1 has rented. $394,900. 3392 square feet with 4 bedrooms and 2.1 baths. $399,900. 2756 square feet with 4 bedrooms and 2.1 baths. $349,900. 2897 sf +1342 in finished lower level, 4 bedrooms and 3.1 baths.